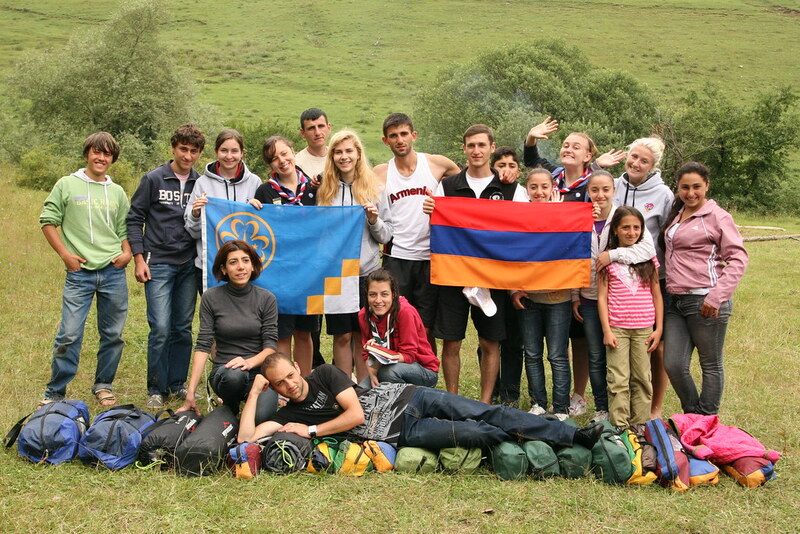 When I got back from my Girlguiding GOLD project in Armenia, all I could think was that I needed to this again. And so when I was asked if I would be interested in leading the GOLD project in Cambodia the following year, I accepted straight away without hesitation. Never underestimate the power of a girl with a backpack, a sturdy pair of shoes and a promise. I had a briefing at Pax Lodge in London with the leaders of the other teams. There were 8 of us, all GOLDies from previous years, all excited to be leading, and a bit nervous about taking on the responsibility. 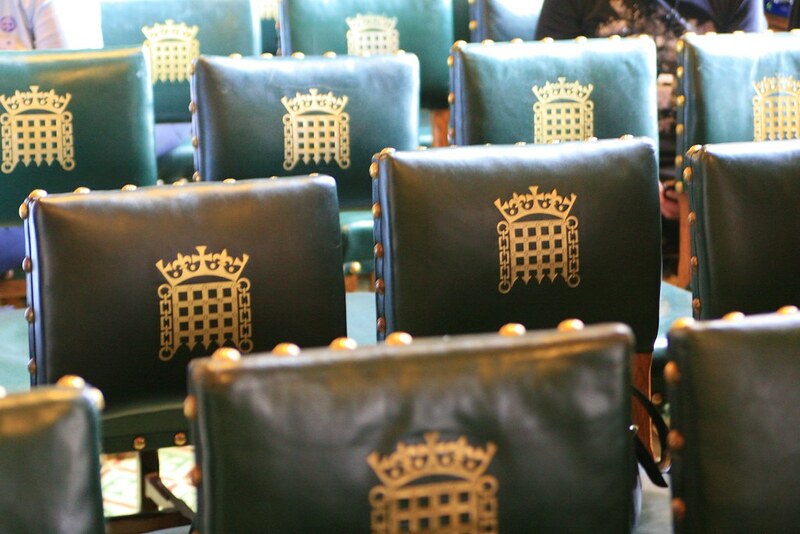 Between us we would be running projects in Cambodia, Armenia, The Gambia, Malawi, Tanzania, Latvia, Guyana and Sri Lanka. 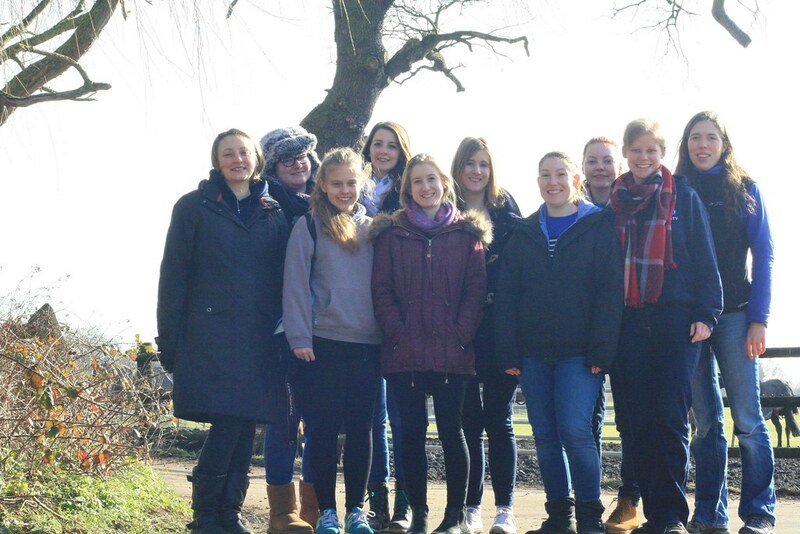 We would each be teamed with 5 new recruits, and challenged with the task of turning them into the ultimate international Guiding team, capable of running training sessions, leading projects and representing Girlguiding to other associations across the globe. No problem, of course. Thankfully, we had a lot of help and support from the GOLD coordinator, and valuable advice from the leaders of previous years. And so preparations began in earnest. 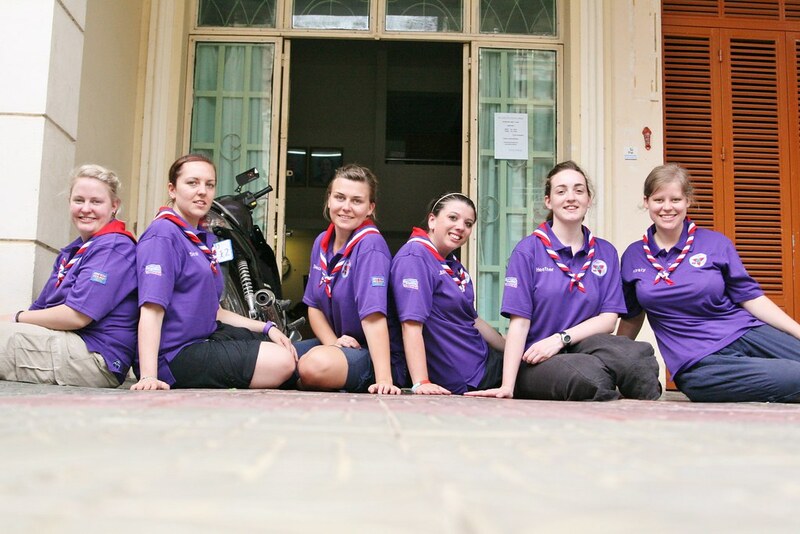 We held briefing weekends for our team members and Team Cambodia 2013 bonded instantly. After staying up chatting into the wee small hours on the first night we met, I knew we were going to be great. 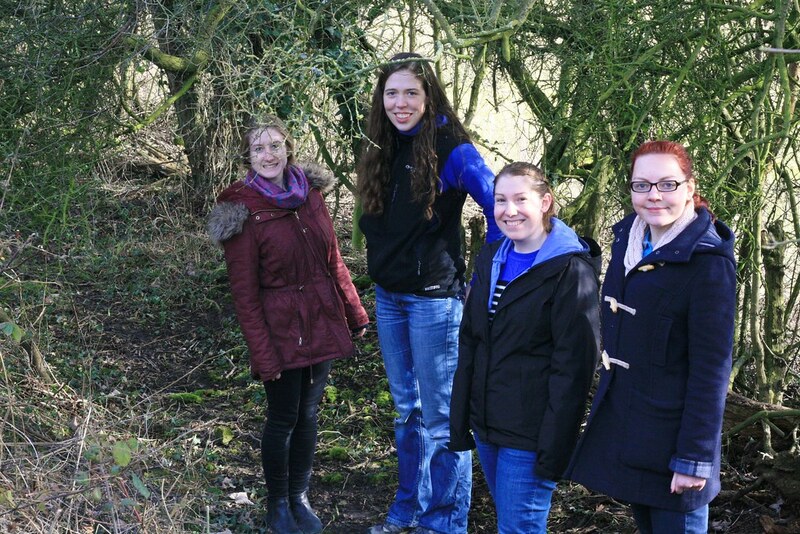 The team proved themselves again and again, planning training sessions and activities, putting together resources and raising funds, and working towards our project aims. 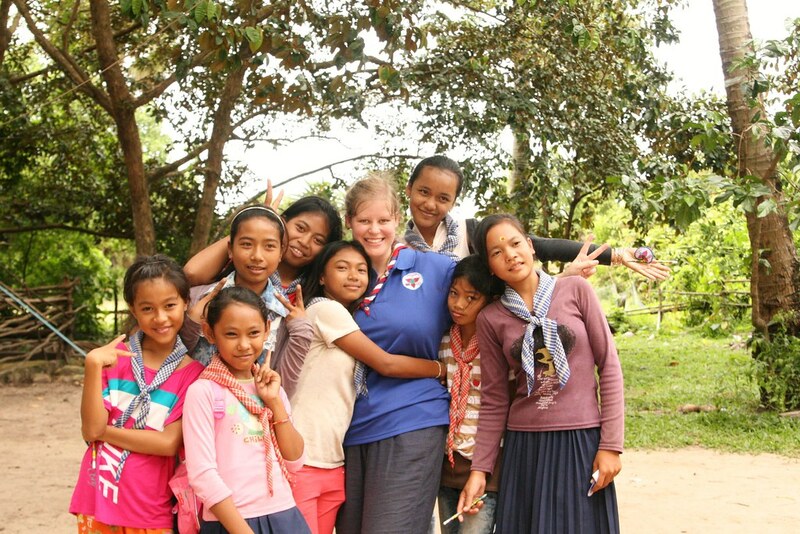 We were going to be spending our first week in Cambodia working with leaders; some new and some experienced; some in their teens and some more mature, and all committed to GGAC: the Girl Guide Association of Cambodia. We were then going to spend the next fortnight visiting two different areas of the country to work with girls, teaching them English and running activities for them. By the time we set off, we were prepared. The women at GGAC had kindly agreed to let us stay at their headquarters, and had set up a room for us to use. 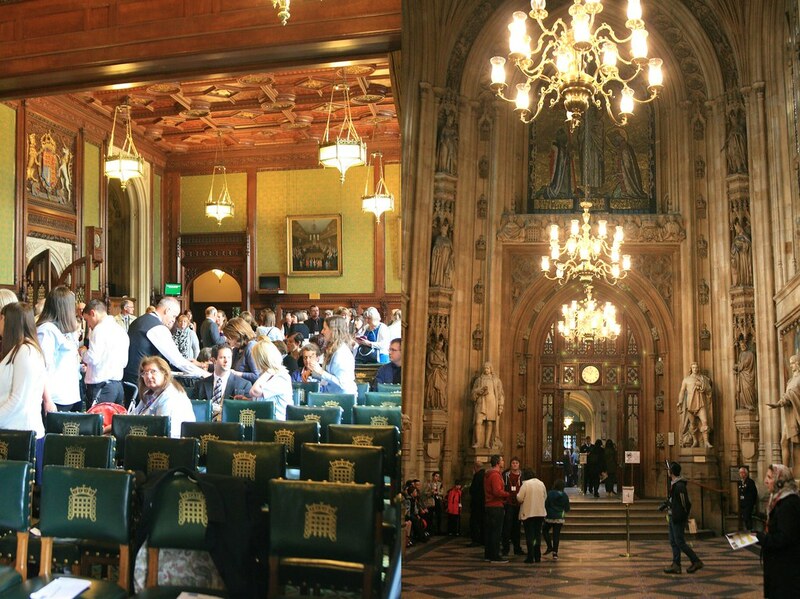 We met with the Commissioner when we arrived, and went through our plans. With a few changes here and there, some carefully prepared training sessions were instantly scrapped, new ones were bolted together we were ready to dig out our resources, and meet the leaders for the first few days. My team were absolutely amazing. 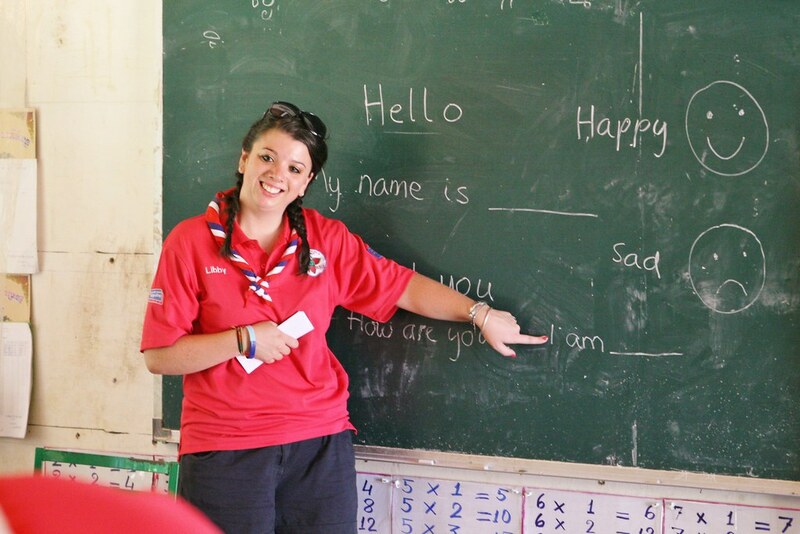 They were so enthusiastic and creative: in the photo above, Libby is running a session on friendship and building relationships within Guide units. The "pond of friendship" she is using to demonstrate a simple activity is our laundry bowl, pressed into service at the last minute! We loved staying at GGAC and we were warmly welcomed and well looked after. We mainly cooked for ourselves and we had some curious meals of ingredients we hadn't been able to translate when out food shopping. Grass jelly juice anyone? But occasionally, some of the GGAC volunteers would be cooking too, and they always let us try the delicious food they rustled up. As we progressed into our second week, we set off into rural communities and got to meet and work with some of the girls. We were expecting large groups, but were delighted to have over sixty girls attend some sessions! 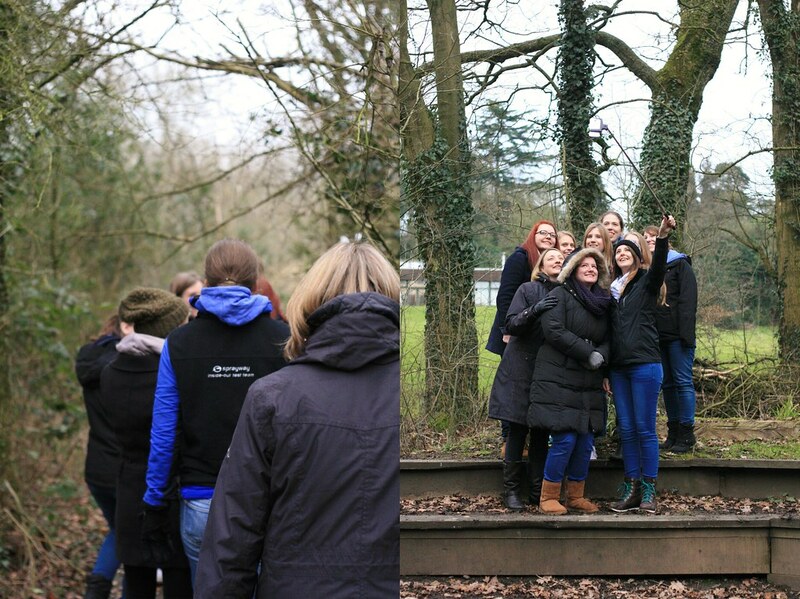 It's a bit of a challenge adapting your session to satisfy girls aged between 3 and 15 years old, but we managed to include everyone and I think they had fun! 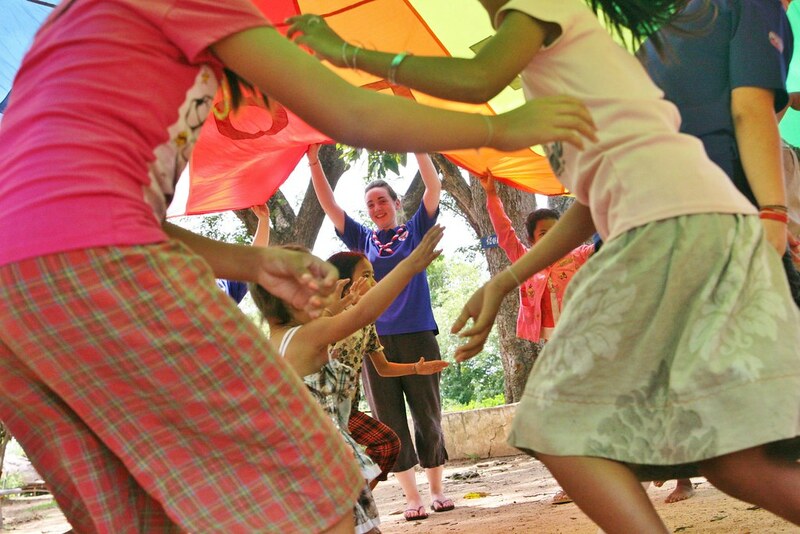 We hoped to pass on some of our games and activities to their leaders too, and once the girls got used to seeing us, they would wave, and laugh and ask for songs they liked and games they enjoyed. While we didn't speak the same language, games are universal. Anyone can get the hang of a parachute pretty quickly, and when you're laughing and dancing along to a song, it doesn't really matter if you don't know the words. We experienced lots of different environments during our activity sessions. There was the day when we went exploring during our beautifully sunny lunch break, and a monkey stole our lunch out of our hands. There was the day when it poured down, monsoon rain drenching the yard, and the girls all went home for the rest of the day. Apparently that's normal practice, but we were a bit wet and bemused! There was the classroom with the enormous spider. I am ashamed to say we squealed and overreacted a bit out of surprise, but one of the leaders dealt with it, gravely explaining that it was "very dangerous". Yikes. And there were sessions with no classroom at all, where shade was provided by the palm trees, chickens pecked around our feet, and tiny, scrawny dogs got underfoot. During our final week in Cambodia, a local family accommodated us while we were doing the activity sessions, and we were immersed in the Cambodian way of life. They took us out rice picking one morning, and giggled at our ineptitude. Fair enough - we did a pretty poor job - but it's back-breaking work and they do it for hours at a time. We tried loads of traditional food, as being near the coast, locals pop to the market each morning to see what's available from the fishing boats. They also picked coconuts from the trees for us, and taught us how to hack into them with an axe. 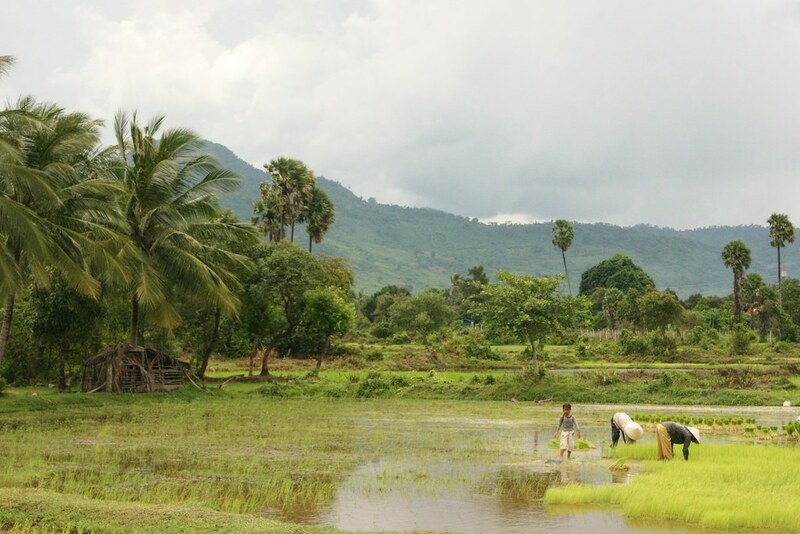 One afternoon we were taken on a walk; the area was lush and beautiful, and we tramped cheerfully through the grass laughing with the villagers. And then they laughed at us when they brought us to a waterfall and told us to jump in. 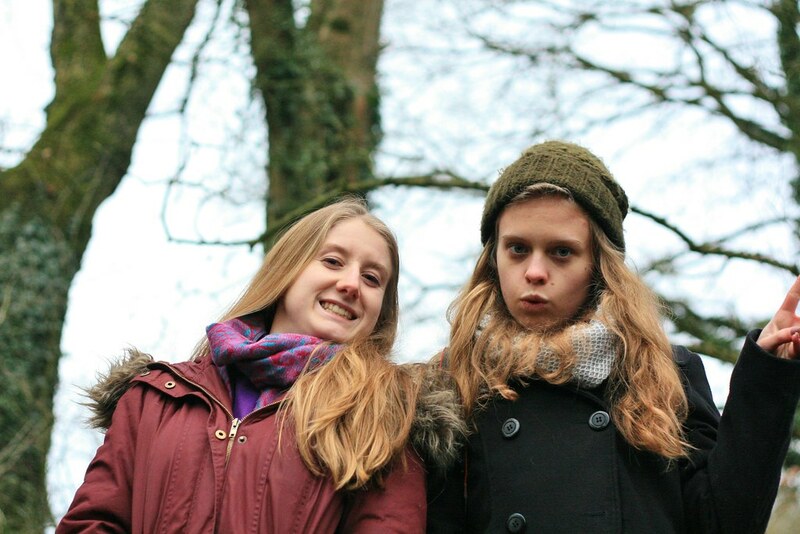 Our clothes dried out reasonably quickly on the walk back. 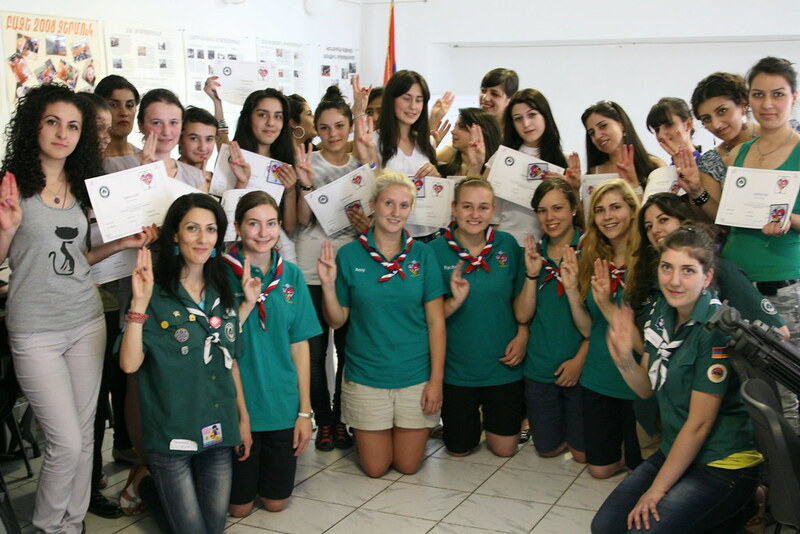 We took part in a promise ceremony during which lots of local girls were enrolled as members of GGAC. 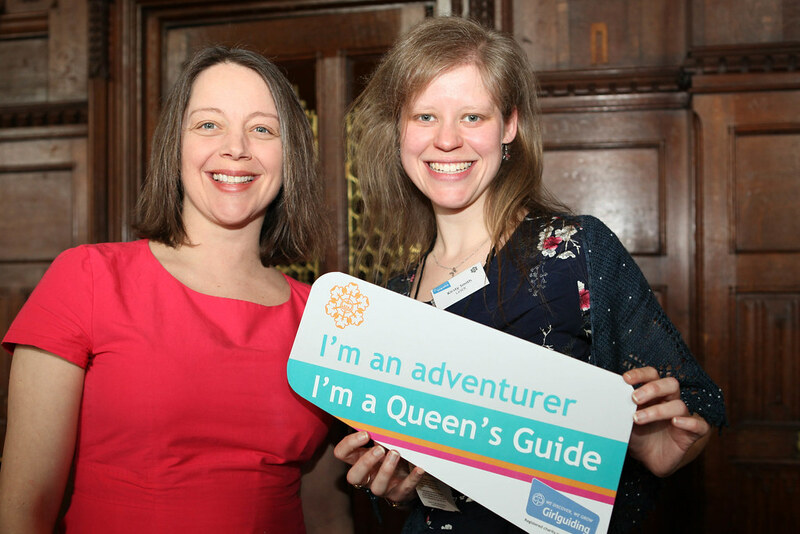 Making her promise is an important moment in the life of any Guide, as that's when you become a full member, and promise to do your best to live up to the ideals of Guiding. 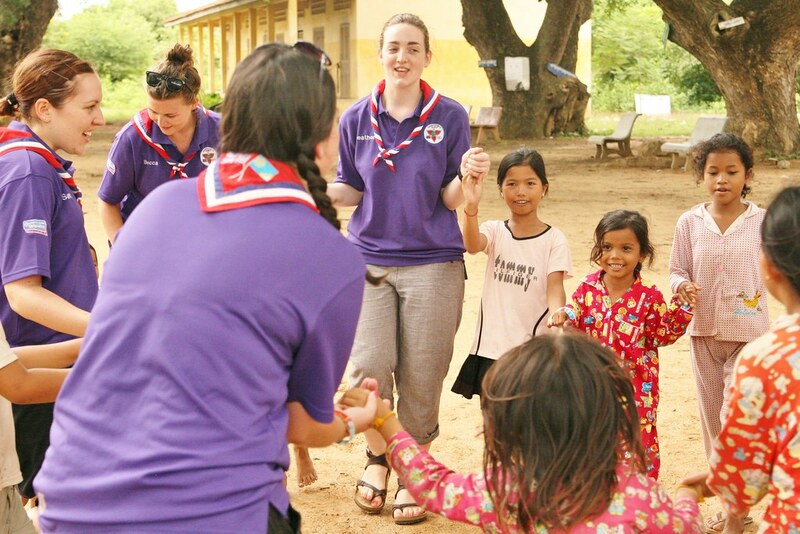 It was a beautiful setting, outside with the girls proudly arrayed in their uniform from the youngest members, called Dragonflies, up to the oldest Guides. One of the girls translated for us, and it was a bit of a surprise when I heard her explain that the Commissioner was telling everyone that I was going to make a speech. So I did. I have no idea how it was translated. But it was incredibly special to be part of a promise ceremony thousands of miles from home, and watch girls become part of a movement to which we all belong. On our final night, the local villagers held a little festival where everyone gathered around a campfire and roasted some pumpkin-like vegetables and danced. We learned some traditional Khmer moves, and mixed in a bit of 90s disco; the flames flickered in the dark and land crabs hurried out of their burrows and scuttled around. At the end of the 3 weeks, we were exhausted. The heat and humidity takes its toll if you're not used to it, and it was an effort replacing all the salt we were sweating out, and staying hydrated. Still, never go anywhere without some Dioralyte: it might not taste nice, but it will perk everybody up in time to play Duck Duck Goose with some lively 6-year-olds who aren't the least bit bothered by the fact that it's over 30 degrees and you could wring the air out like a sponge. 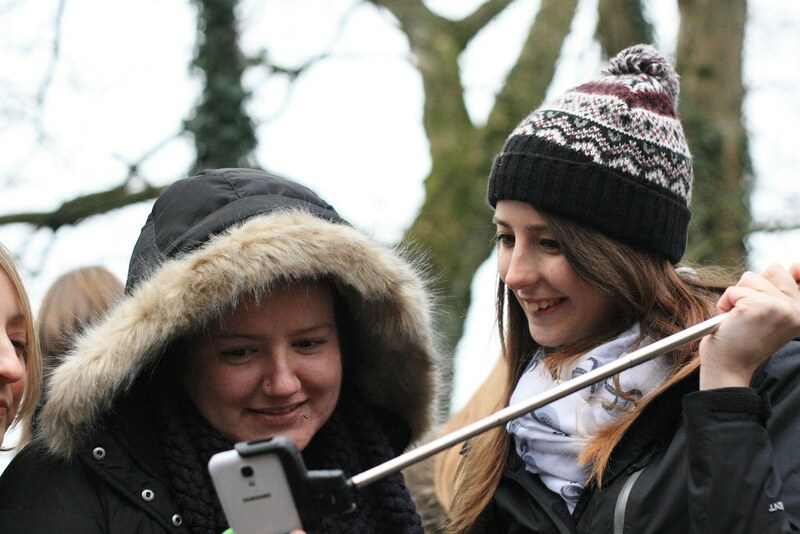 The girls we met were so happy, so full of life, and so grateful for our time that we were sorry to leave. We had a ceremony at GGAC headquarters before our flight, attended by the Princess who is the Patron of GGAC, and we knew we would miss the friends we had made. I have so many stories and memories of good times and challenges that I could write and write and write and still have more to share. Projects like this always highlight the fact that wherever you are in the world, girls are girls. and it doesn't matter if you're in the UK or in rural Cambodia. I have never received better hospitality or a kinder welome from strangers anywhere. 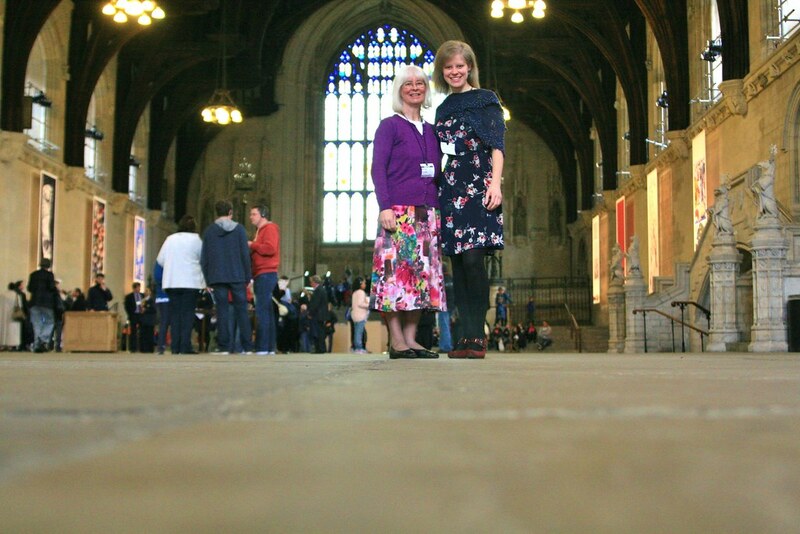 It was a real privilege to live and work with these wonderful women. Back in the UK, we debriefed and wished the next Team Cambodia luck as they took over the project to continue its development for the next year. 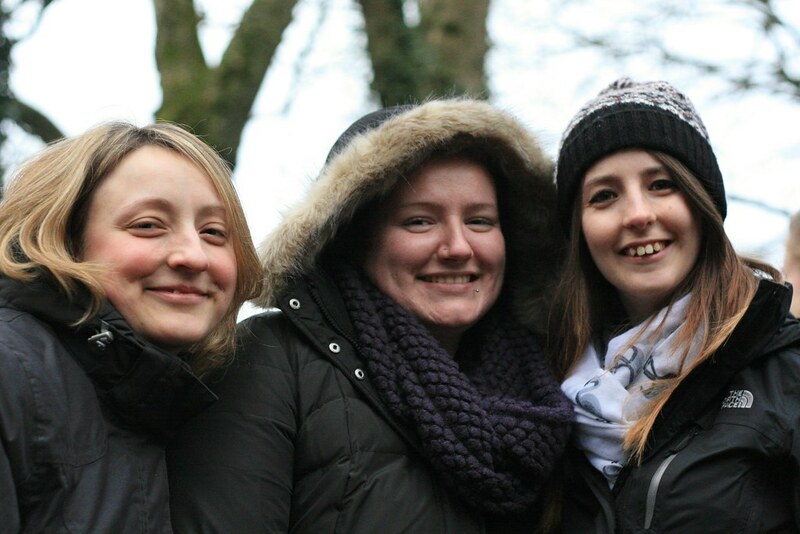 But three reunions in, there's no chance of me losing touch with my wonderful team; they quickly became true, close friends who made the whole experience magical. Here's to the next one, and to more international adventures! P.S. 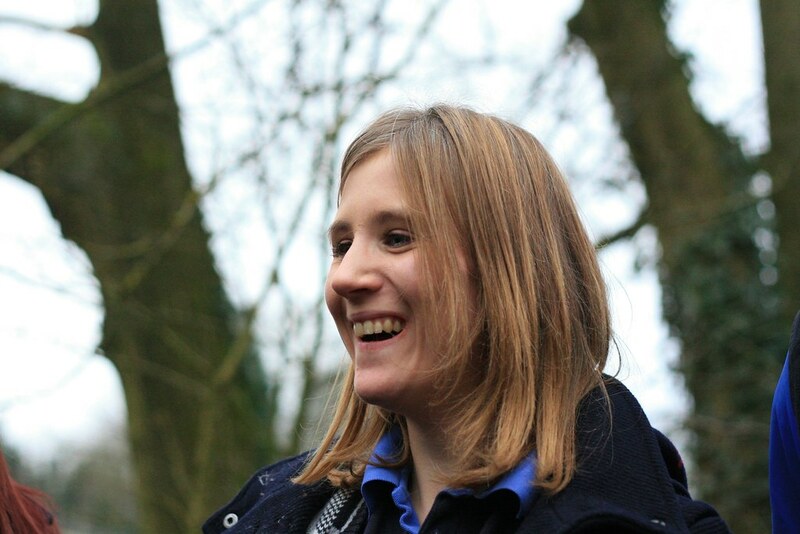 This post is part of a series all about Girlguiding. If you want to find out more, head to any of the posts linked below! 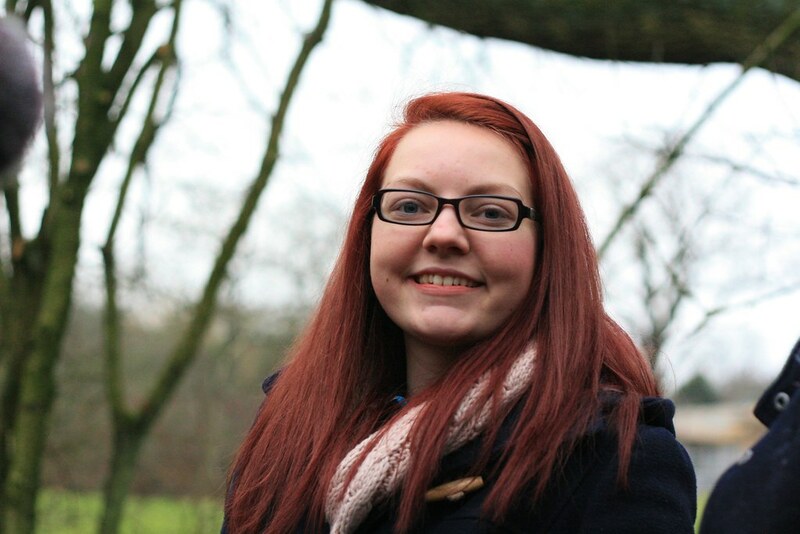 The thing I love most about Girlguiding is the opportunity for international adventure. 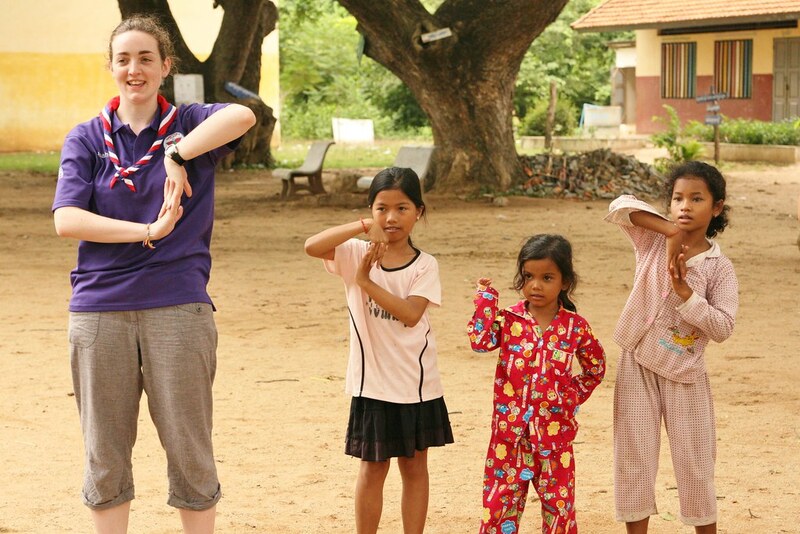 This week, I want to share a few of my experiences of the Girl Guiding and Scouting movements overseas. I fell into international Guiding almost by accident. 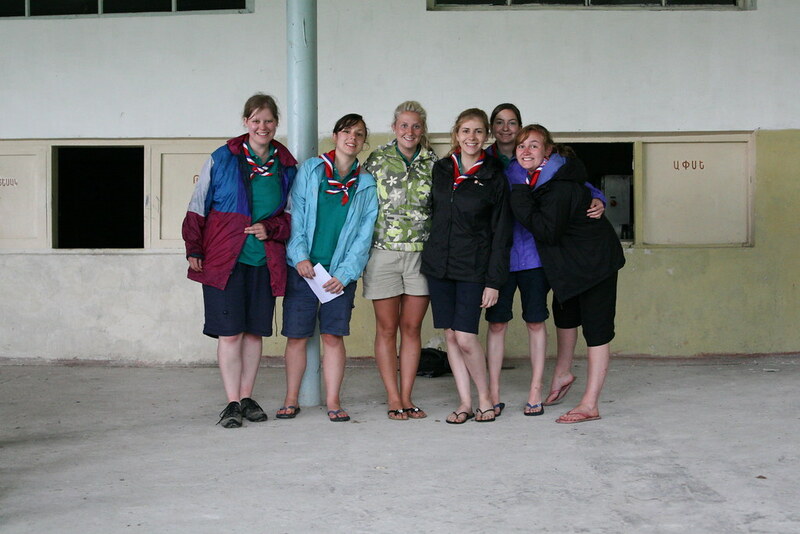 It all came about because I attended an annual national selection camp for leaders aged 18-30. And I attended at the last minute through a cancellation place 3 days before the event. 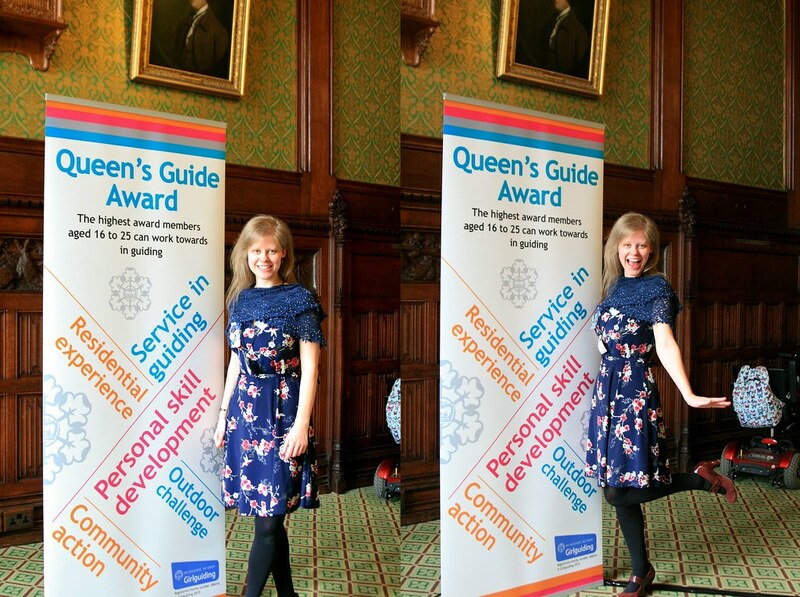 I knew nothing about worldwide Guiding, but a friend convinced me to go, and I thought it would be a nice chance to meet leaders in my peer group, get away for the weekend, and there was the added bonus that it would count towards my Queen's Guide award which I was working on at the time. The atmosphere that weekend was infectious: good humoured, light hearted, meaningful, inspiring and also, at times, downright ridiculous. 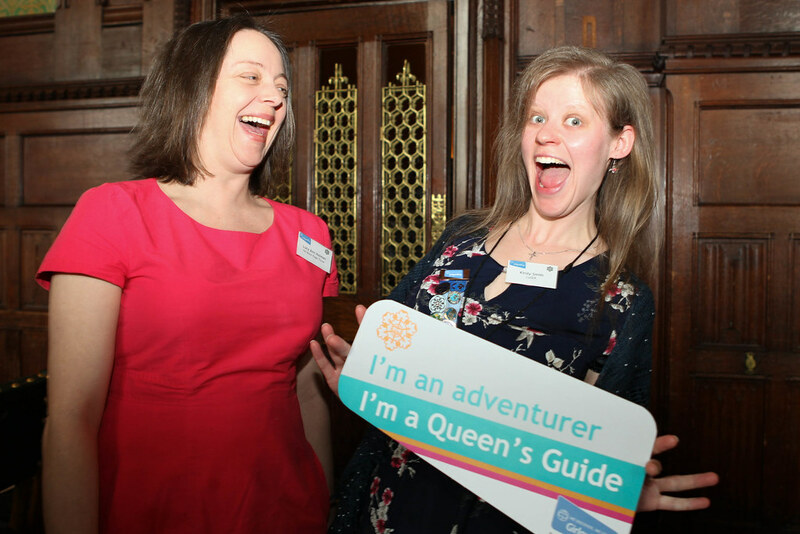 But I loved it, and by the end of the weekend, not only did I want to get involved with a bit (or perhaps a lot) of International Guiding, I had put my name forward for selection for GOLD. 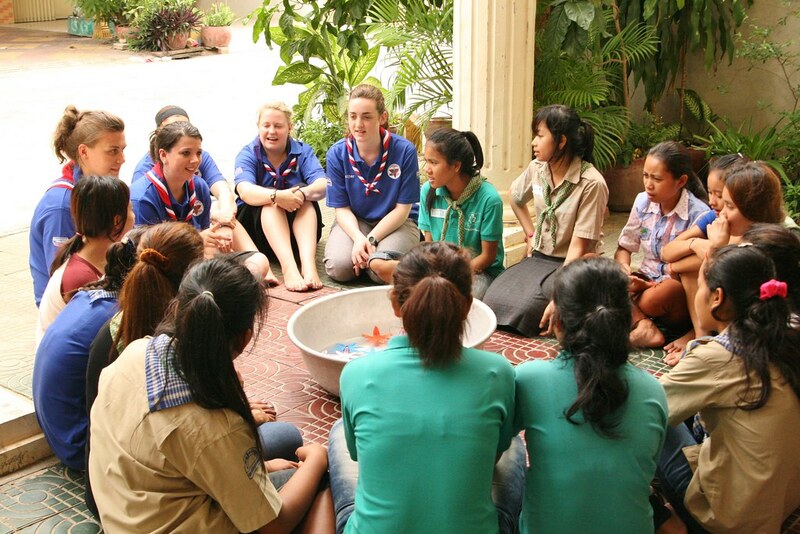 GOLD is the UK's flagship international program within Girlguiding. Leaders up and down the country are selected and put in teams of 6 who travel abroad to volunteer for 3 weeks. The projects GOLD works on are unique as they are sustainable, lasting 3-5 years with a new team visiting each year to continue the project. And the projects themselves are requested by the host country's Guiding association which means that the work volunteers do is of real value as it's directed by what is needed, rather than what teams choose to do that year. 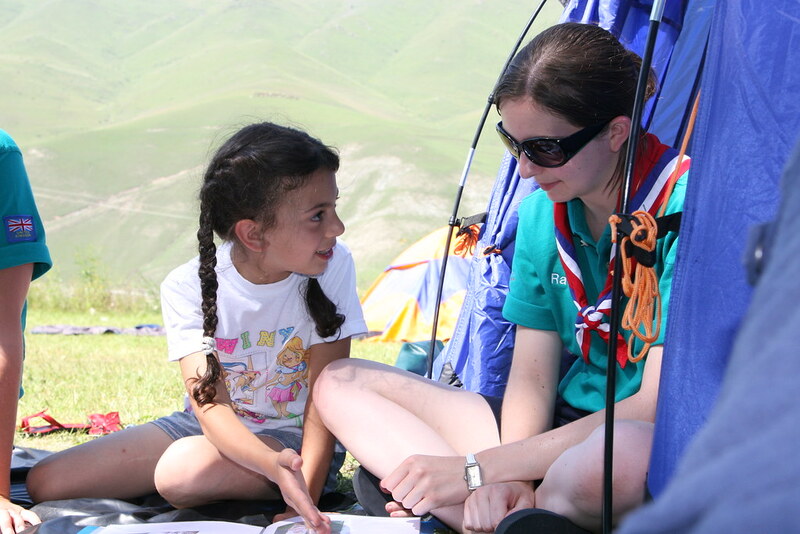 If all goes to plan, at the end of 5 years, the host country has achieved it's goals, and GOLD teams aim to facilitate local Guiding to continue their development themselves. 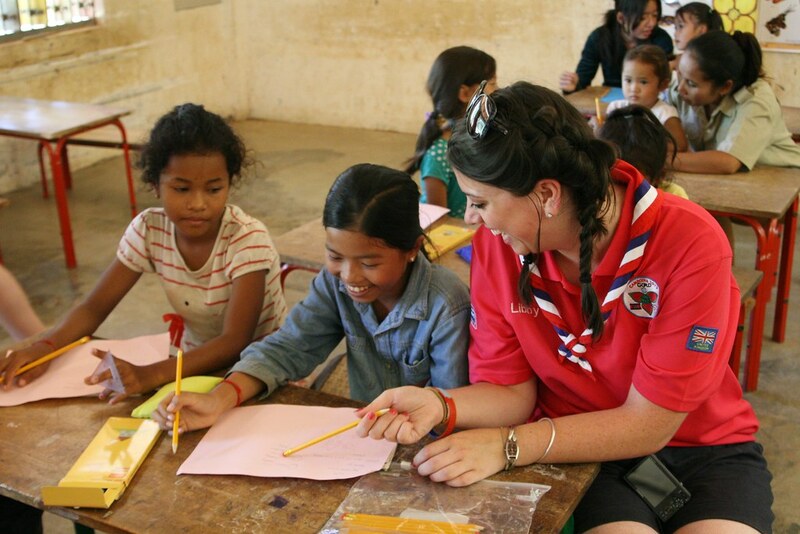 In the past, GOLD has travelled to Madagascar, Guyana, Tanzania, The Gambia, Malawi, Latvia, Egypt... the list is quite extensive, and at the moment, around 8 GOLD teams a year head out across the world to share their knowledge and expertise and gain some insight into Guiding abroad. 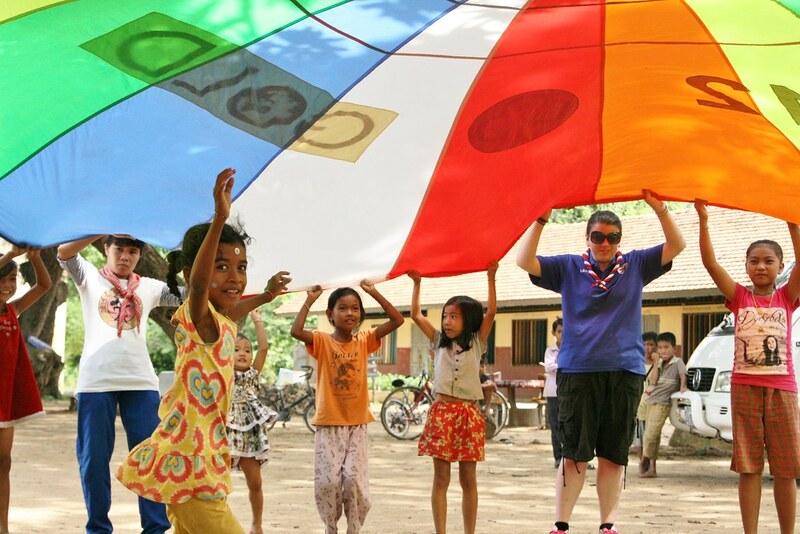 Projects have included everything from health and hygiene training, to recruitment of girls and leaders, to establishing a new section of Guiding for younger girls, like Rainbows in the UK. A few weeks after the selection weekend, I received a letter in the post. I been selected for GOLD, and I was going to Armenia. I thought two things: 1) AMAZING!!!!!! 2) Armenia? Where is that exactly? Having located Armenia on a map (it's at the eastern end of Europe and shares borders with Turkey, Iran, Azerbaijan and Georgia) I was fired up and ready to go. That was start of a year of adventure, of challenge and of truly life-changing experiences. 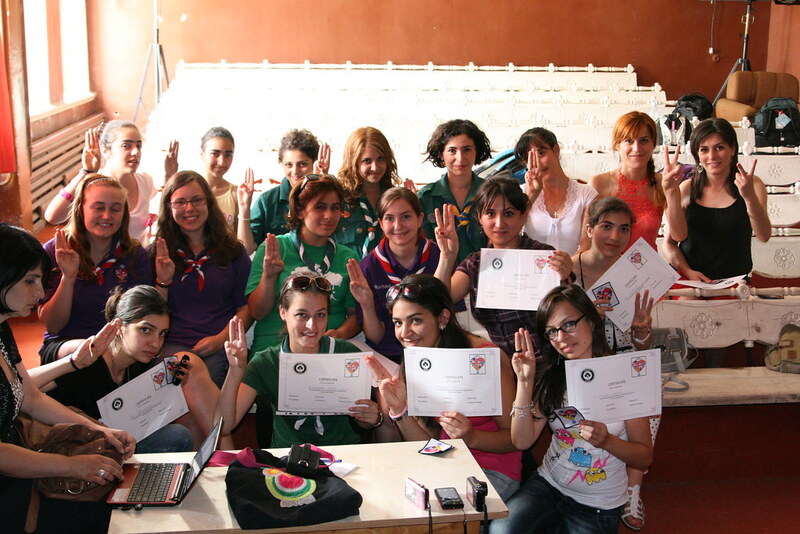 Once our team was together, we learned learned our aims in Armenia would be help NUGGGS with recruitment of new leaders, and to offer further training of existing leaders. 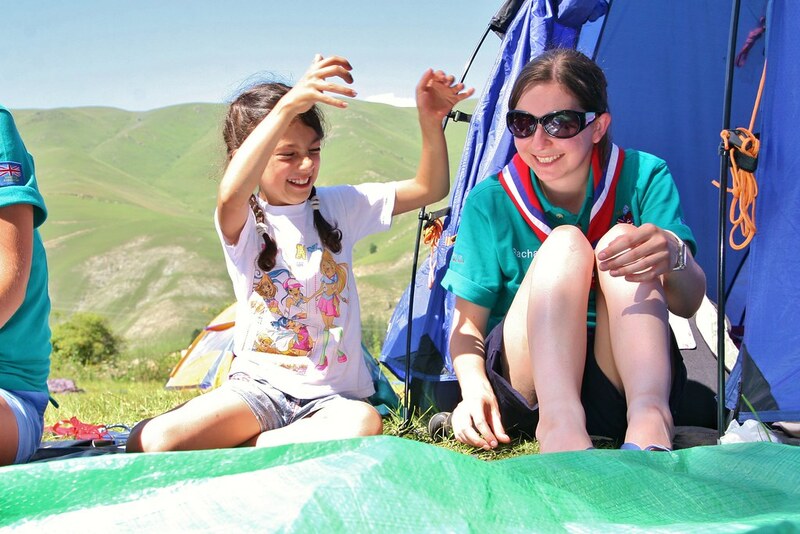 (NUGGGS is the National Union of Girl Guides and Girl Scouts in Armenia) We would be doing this by running some sessions at the Armenian national camp, visiting 3 different communities to run intensive 2-day training programs, and by holding a retreat for existing leaders to develop their skills. 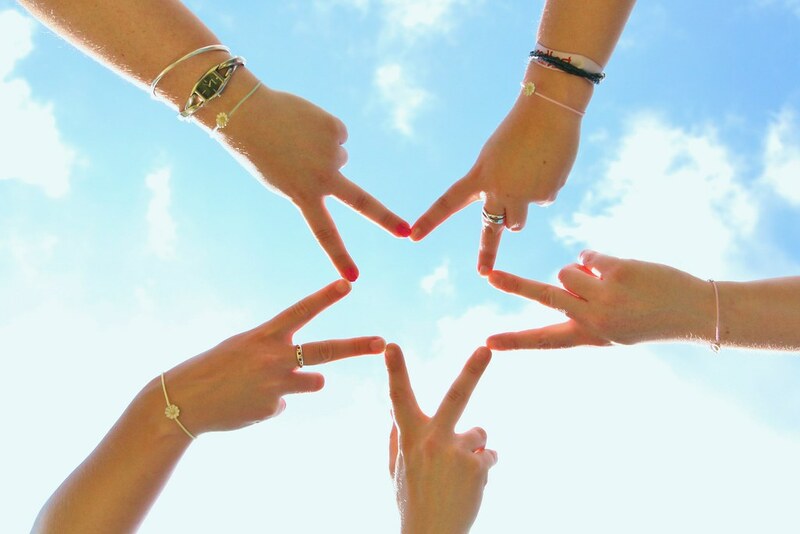 I quickly learned that you can be united with 5 other women from across the country and become instant friends. I was nervous, and apprehensive; I was also desperate not to show it, as I didn't want to be the weak link in the team. 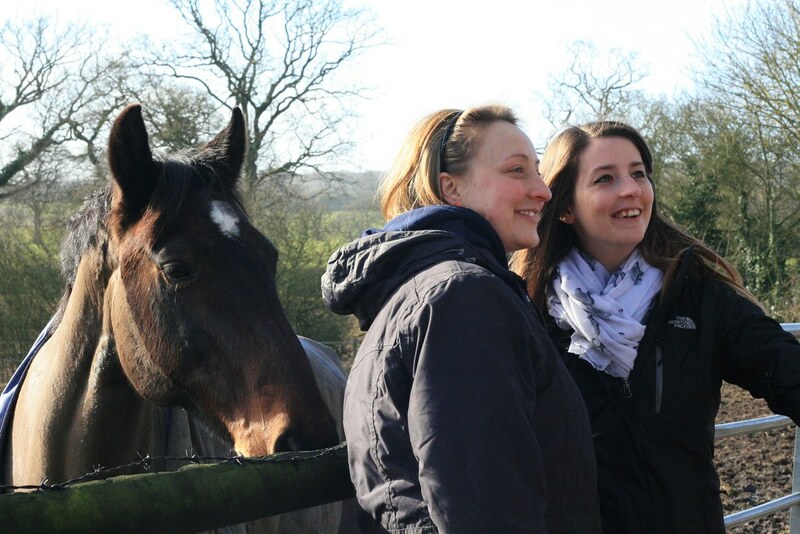 But those women were friendly, supportive and wonderful; as a team, we grew and we changed, we made the most of our strengths and supported each other when things didn't go to plan. And things didn't go to plan a lot. Sometimes we ended up in a different part of the country than originally anticipated. We camped in a field where the Armenian Guides had managed to rig up a sound system but where there was no running water. We turned up to lead trainings that hadn't been advertised so there were no participants. We had to do an emergency hospital dash in the middle of the night. And we had to re-write a program of activities we had prepared as the group attending decided they wanted to learn something else instead. I had also never laughed so much. 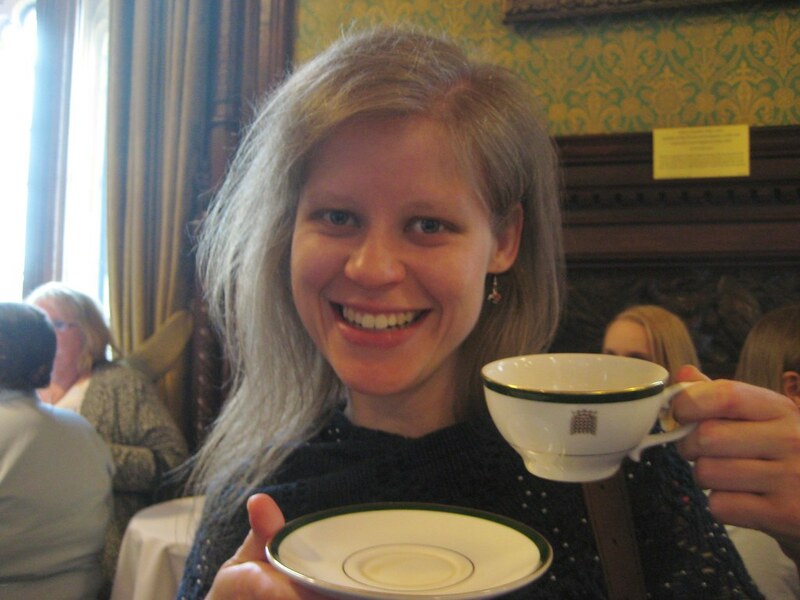 Laughed as we failed on every single attempt to buy milk in the local shop, and ended up with curdled yoghurt separating suspiciously in our tea. We spent days in clothes in desperate need of a wash, and took to Febreezing each other down. We performed the YMCA at the top of the Cascade, a flight of almost 700 steps in the centre of Yerevan. And we discovered about 2 weeks into the trip that we had got the phrase for "My name is..." wrong and we'd been introducing ourselves incomprehensibly as the Armenians had politely nodded along. But most importantly of all, we discovered we had the strength, commitment and flexibility to adapt to all situations, and we didn't face any of it alone. We met the challenge together and had the most incredible time doing it, and learned to laugh off minor problems and work around them. 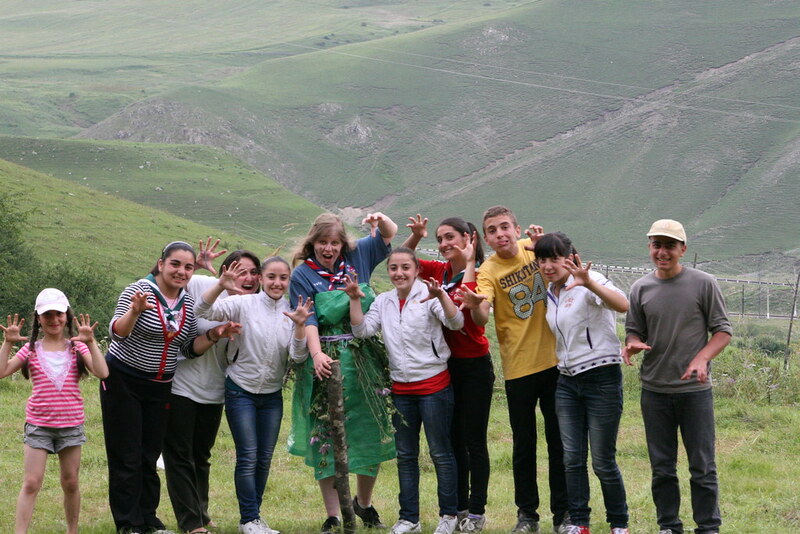 We met some amazing women when we went to volunteer in Armenia. Women who believe passionately in the power of Guiding to change young women's lives for the better, and who are fighting to provide these opportunities for girls in their communities. They welcomed us warmly, shared their lives, homes and culture with us, and gave us a real sense of what a wonderful country Armenia is. They gave us an insight into the history of the country as we visited the Genocide museum, and we experienced the life of young people living in Yerevan today as our hosts took us out for an evening. It's an uphill struggle, but I really hope the Armenian Guides feel proud of their accomplishments, because the progress they have made is huge. 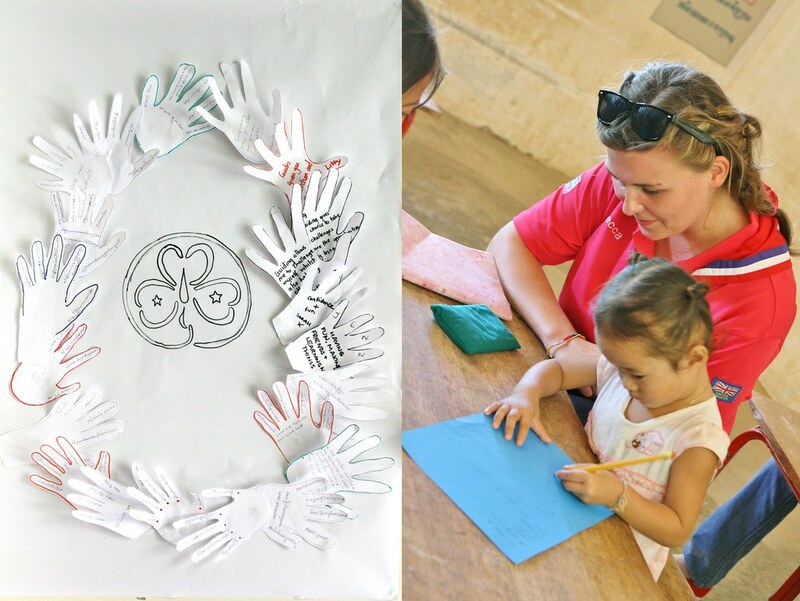 More units have started, more girls are getting involved and during the last year, NUGGGS have become official members of WAGGGS and become part of the worldwide movement of Guiding. This is a huge achievement, and while it's nice to think that GOLD may have helped, there is no doubt that their success is due to the inspiring, tireless and warm-hearted efforts of Armenian Guide leaders. 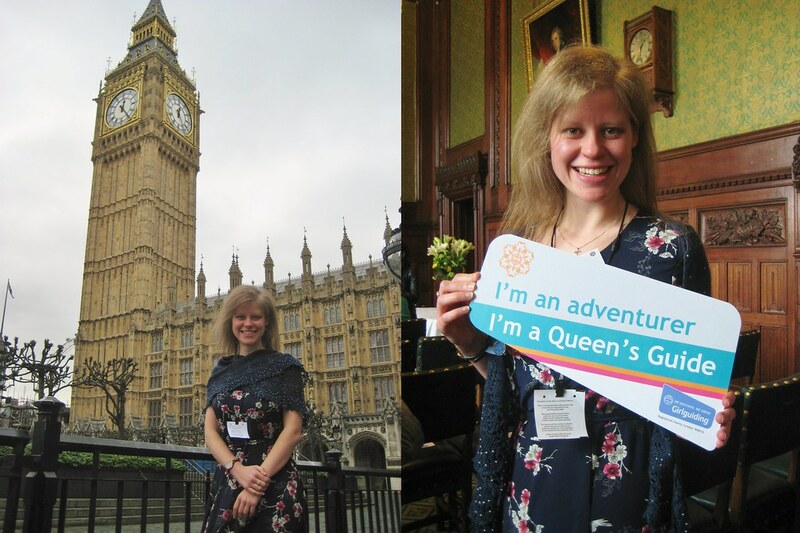 I gained a huge sense of pride from donning my International necker in red, white and blue, and setting off across the world to represent Girlguiding in my country. That feeling of aspiration, the sense of adventure and my desire to see more of the world have been with me ever since. 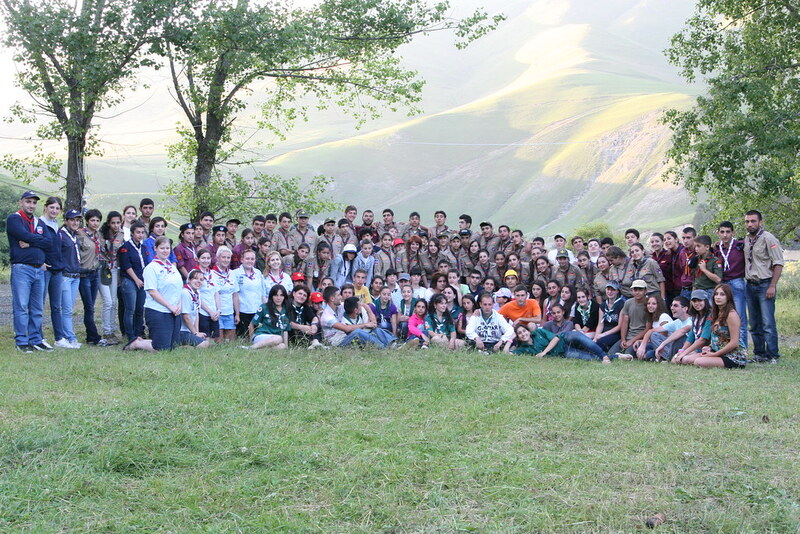 Armenia was just the beginning of my adventure in International Guiding, and I hope I have a long way to go yet. Later this week, I'll be sharing a little bit more about our GOLD Armenian adventure, and some other international projects. P.S. 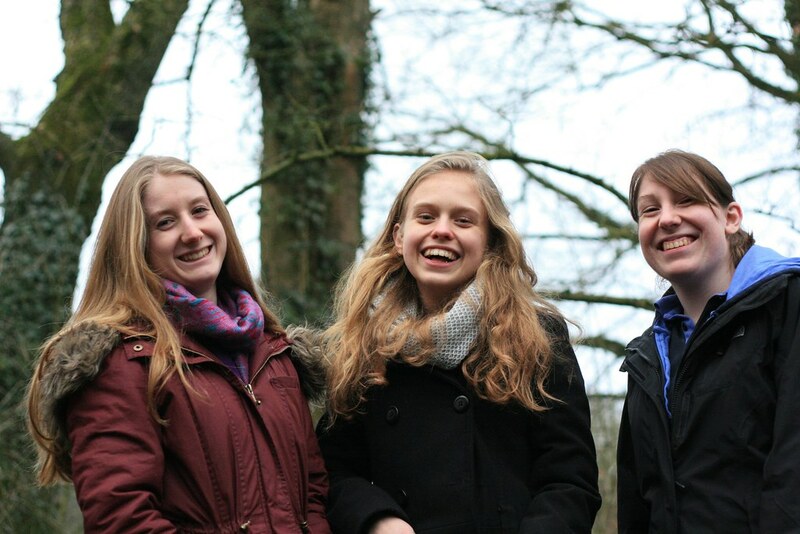 If you're aged 18-30 and a member of Girlguiding, I cannot recommend GOLD enough, and you can find more information by following this link. P.P.S. 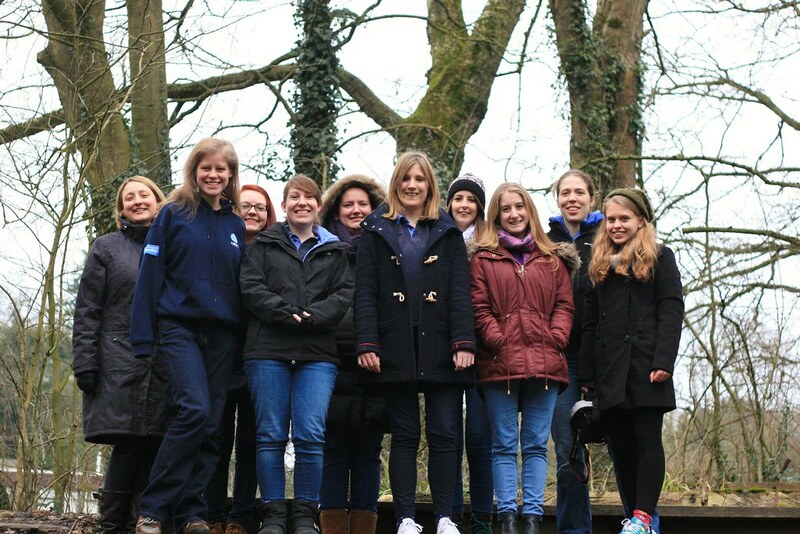 This post is part of a little series about Girlguiding, and you can find the others linked below. Meanwhile, join me tomorrow for a little more about our Armenian GOLD project. 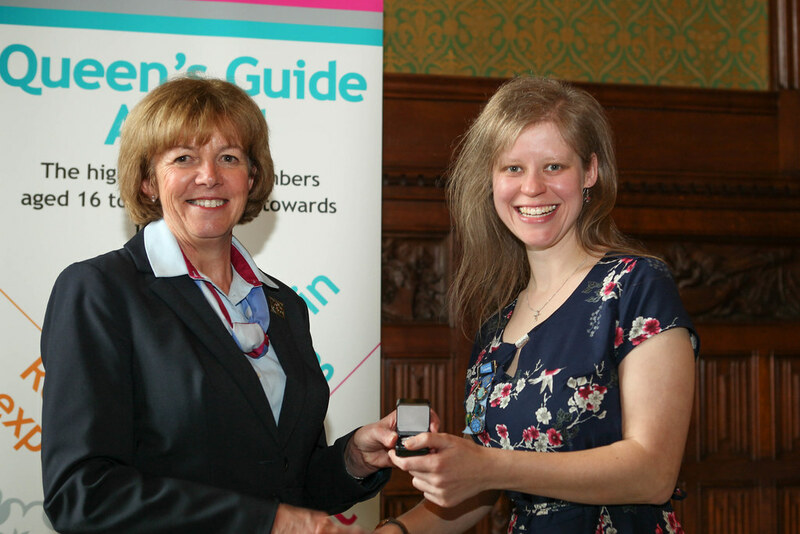 This is what Girlguiding means to me.